For this interview, we start out and hit the ground running with the specifics and advice on how to market your music. Then we got more into the personal details behind Ben’s beginning. Ben reached out to hundreds of youtube channels and blogs. He did this in mass quantity. Now they actually have relationships. At first, the track was rejected by a lot of tastemakers. But he just kept pitching. It all started with him sending 300 personal emails over a period of 2 weeks. Youtube, SoundCloud channels, and bloggers. Then he got a manager and so it was two people on the case. He collectively emailed 100 youtube channels and maybe got 5 replies. Then he repeated the process. Through this, he gained more contacts. Eventually, Spotify added it to 1 or 2 of their own playlists. Spotify metrics said that people were really liking it and adding it to their personal playlists. So this boosted the track in Spotify’s algorithm and once it was added to some major Spotify playlists, it started getting around 100k plays a day, even 5 months after. Fun fact, someone on his team didn’t even think the track was that great! Just goes to show that you never know what track is going to be a hit. 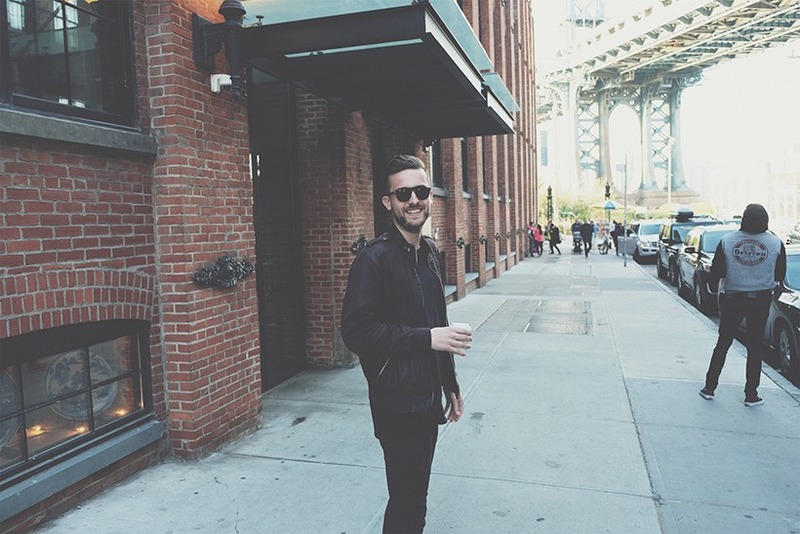 Ben had the opportunity to visit the Spotify office in New York, where he shared a new track. Spotify is doing much more for artists compared to other streaming platforms. He cold emailed people (bloggers, youtube channel owners, Spotify playlisters) by finding their email addresses. He uses AWAL / Kobalt for label services. They get a bit of the cut, but in exchange, they pitch the track for placement, and they have an incentive to. Generally, they do a good job. Major labels approached him after that and offered him a “ton of money”. They wanted to re-release the track and also future albums, but they were asking for very long-term binding agreements. He said no, despite being tempted, and remained independent. A lot of the labels that contacted him worked on an older model where they got 50% of everything (publishing royalties, streaming royalties, you name it)…which is why he said “no thanks”. He said his blueprint was the SoundCloud Bible. And he still re-reads it. His goal was to try his best to get this track on the radio. So instead of emailing the radio station like everyone else, he mailed them personalized letters! He burnt the letters (100 of them) on the corner. He mailed them and eventually got a premiere on one of the biggest radio channels! They didn’t even get back to him, but they did premiere it (Ben’s friend heard it on the radio and texted him about it). Once he got out of high school at age 18, he started a tech company in Sweden. He was making money and a good living. He had programmers in India outsourcing tech and it was web-based stuff. He has never had a real job after high school. Never been employed for anyone but himself and he’s 26 now. His company was boring him and there was no purpose but making money. It wasn’t his passion. He liked creating things. So in 2012, he sold his tech company and he took the money he made from it and did the 3-month production course in NY. Worked at Dubspot. Every day he was working on his music production. He had 2 years of training before he even put out his original track. He didn’t go to college. He was bored learning the studying behind the music. He thought the best way to learn was to just do it, rather than study how to do it. He talks about morning and afternoon sessions! Advises saving sound design for another time. Take a part of your day, or a separate day to only handle sound design, which means do not work on track completion. He also uses Ableton racks as shortcuts in his production. He sets up racks and it allows him to tweak the specific snare sound with the twist of a knob. Makes it easy to change any drum sounds quickly. We also talked about publishers and getting into a career as a music production writer (writing music to be used in various forms of media for monetary compensation). He is just now getting into it himself. I mentioned that I was dabbling in it and wanted to try to make some money from it. He mentioned that being a music production writer can be a great way to earn some extra compensation. Plus, as an artist, you can only release a certain amount of your own tracks a year. “Like 13-14 before it gets weird”, in Ben’s words. My conclusion? If you can do still put out plenty of great music for your own name, AND make time to keep up with a side hustle as a music production writer, go for it! It can be hard to do both though if you are already working another job. We talked about samples! I like The Loop Loft (sidenote, give them a shout out once the article is published to let them know I appreciate them ;)). And we talked about the “1000 true fans” theory. He does this genius process, once a week, where he sends personal birthday cards to fans all across the world. They fill out a form which goes into a google form, then into a google sheet, and once a week he sees all of their birthdays. As you can probably tell, I really enjoyed meeting the guy, as he is what you would call a true professional, going above and beyond what it takes to live a life solely sustained from your income as a music producer. I hope you liked this interview as much as I did. There is so much value to take away from it!! 9:30 – Tons of major label offers and lots of money, but he said no! 15:30 – Mass emailing youtube channel curators the right way! 24:00 – Realized what his passions were and sold his company to pursue music. 25:50 – The importance of simply taking action rather than only learning and *preparing* to take action. 40:50 – Ben breaks out of his genius ideas for fan engagement!